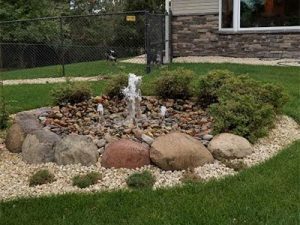 This entry was posted in Fire Pit, Garden Design, Landscaping Contractor, Outdoor Contractor, Outdoor Living, Patio Installation MN, Retaining Walls, Water Features on April 27, 2017 by Landscaping & Lawn Maintenance. This entry was posted in Landscaping Contractor, Outdoor Contractor, Outdoor Living and tagged fire pits, landcaping, patio contractor on April 21, 2017 by Landscaping & Lawn Maintenance. This entry was posted in Commercial landscaping Maintanence, Landscaping Contractor, Lawn Maintanence, Outdoor Contractor, Outdoor Living on April 14, 2017 by Landscaping & Lawn Maintenance. This entry was posted in Garden Design, Landscaping Contractor, Outdoor Contractor, Outdoor Living on April 13, 2017 by Landscaping & Lawn Maintenance. This entry was posted in Landscaping Contractor, Outdoor Contractor, Outdoor Living and tagged deck contractor, deck installation, Maplewood MN on March 31, 2017 by Landscaping & Lawn Maintenance.